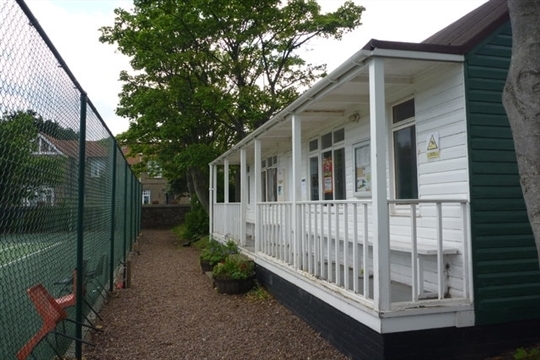 Dunbar Community Tennis Centre is at Winterfield Park, Dunbar, a five-minute walk west of the High Street and swimming pool. 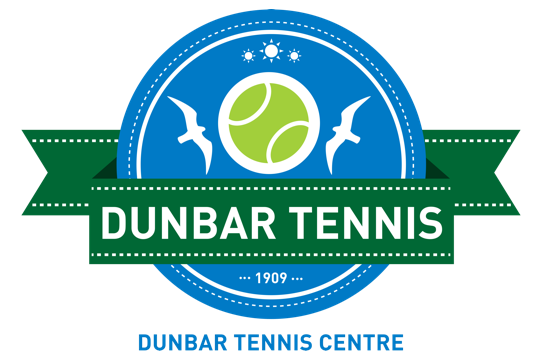 View the Dunbar Tennis Centre news section for latest updates. We have six all-weather hard courts, suitable for play all year round. Three courts are for public use and are available for play at any time. Hire of the public courts (by the hour) is £2.50 per person for adults, £1 for juniors. You can pay at the clubhouse if it's open, or there’s an honesty box. Please ensure you are wearing the correct footwear i.e. court shoes - incorrect footwear damages the court surface. Membership is £75 a year for adults, £35 for students and concessions, £25 for juniors. and £15 for Mini Family £150. 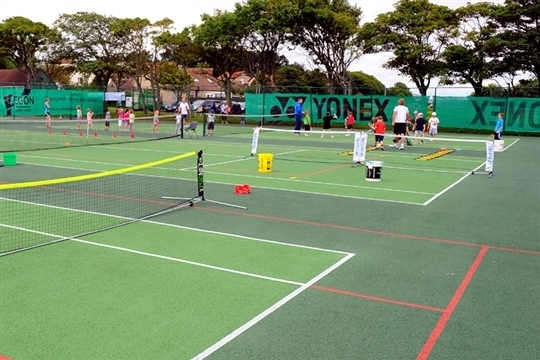 Play for free on Saturday mornings as part of the LTA’s ‘Tennis Beacon’ scheme. Club nights are Tuesday and Thursday from 6pm, when members gather for a spot of relaxed, sociable tennis. If you’d like to know more about becoming a member or playing on one of our teams, come along on a club night and find out. Membership runs for 12 months from the start of the season. The 2019/20 season starts on April 1st, 2019.